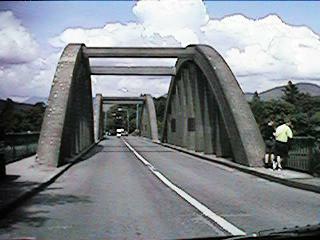 Kenmare is about twenty miles, south of Killarney. In the Town Centre, one can find a very good example of a stone circle which has a a "Dolmen" at the centre. There are also other historic sites in the town, including an old ruin of St Finian's in the old graveyard. 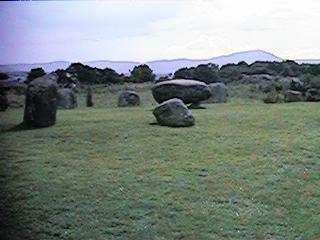 The Kenmare Stone Circle is reported to be the biggest in the south west of Ireland. Stone Circles were built during the Bronze Age (2,200-500 B.C) for ritual and ceremonial purposes. They were often orientated on certain solar and lunar events , such as the position of the sun on the horizon on a soltice. The Kenmare example may be orientated on the setting sun. 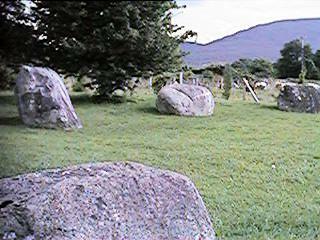 In the centre of the circle is a Boulder Dolmen (Photo on the right), which is rather unique. 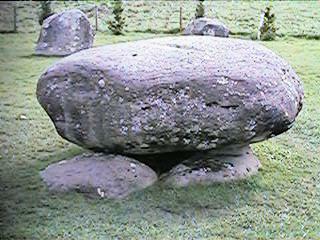 Dolmen's often marked the burial place of someone important. 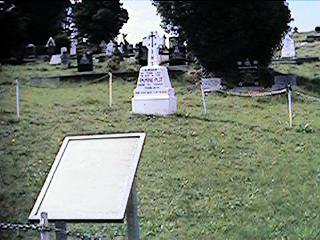 On the left is the photo of the St Finian's Church in the old graveyard in Kenmare (Beside the Sheen Falls Hotel). It was raided by Vikings in 836 A.D. 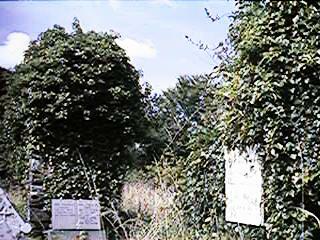 Sadly, very little of it remains and it is overgrown with ivy. 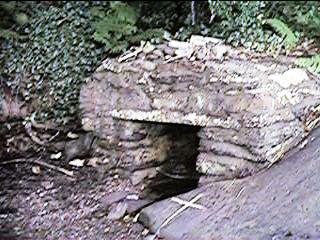 Close by is a Holy Well which is in very good condition. The old graveyard is well worth a visit, for headstones reveal much history. Also there is a famine plot (Below). 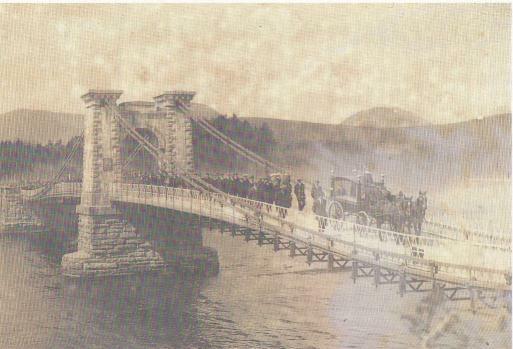 The photo on the left was taken by a D. Mc Carthy in secret on May 3, 1921. This house has a very long history. It was said that the Papal Nuncio even stayed here. 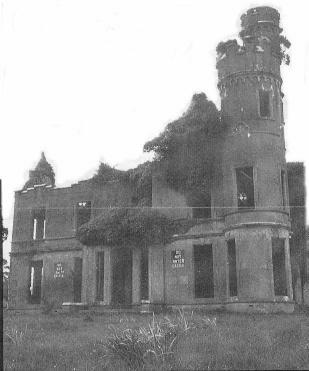 It was burned by the IRA prior to the Civil War.